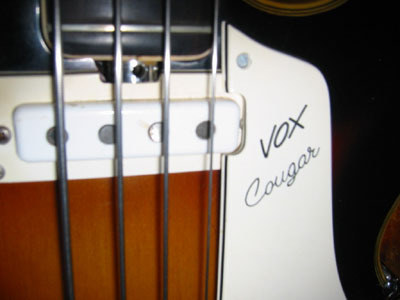 Late 60s (67 or 68) hollow body Vox Cougar bass (Italian made). All original parts, including hard case in great shape. 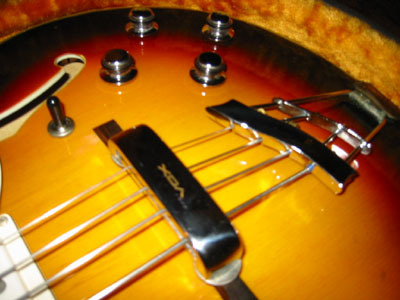 Double cutaway hollow body. Very nice thin neck. 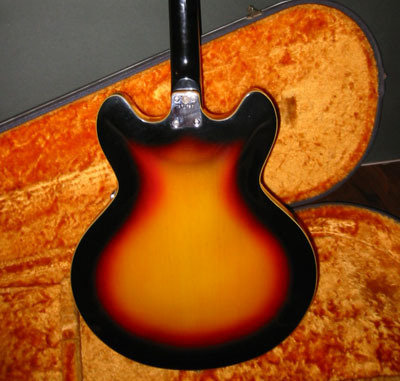 Sunburst finish in excellent shape. just some very minor scratches. 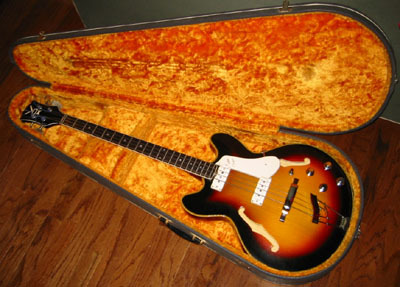 Played great - had performed with this bass at Swing Dance gigs. Electronics all work well. This was a real beauty. 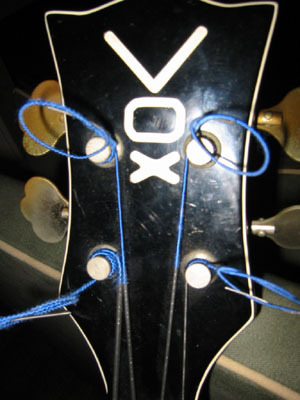 - No cracks in the neck, headstock or body. It was in pristine condition. - All the electronics worked perfectly - both volume pots for both pickups, as well as tone control knobs for both pickups. - The action was excellent - it played very easily, and was in perfect intonation. 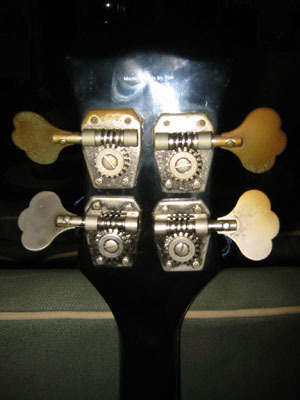 - The neck was thin - making it extremely easy to play - kind of like an early Hofner bass. 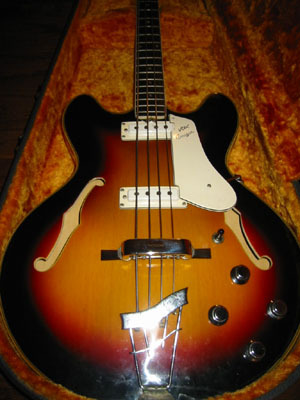 - The tone was warm and round - the flatwound strings gave it an upright bass kind of tone - beautiful.